On the last day in SEOUL, we visited this very unique and lovely neighbourhood known as Samcheong-dong. Of all the places we visited this trip, I can tell you that Samcheong-dong is one of the places I admire most in SEOUL. It’s a hip neighbourhood, at the same time it blends in well with the traditional building remained behind this area. 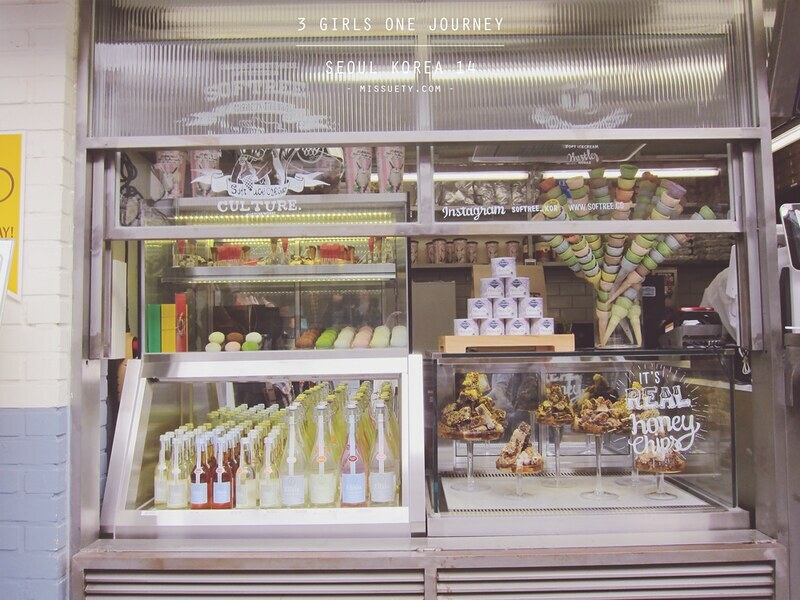 There is a vast array of shops along the street with very beautiful displays and interiors. Today, I’ll be sharing with you.. 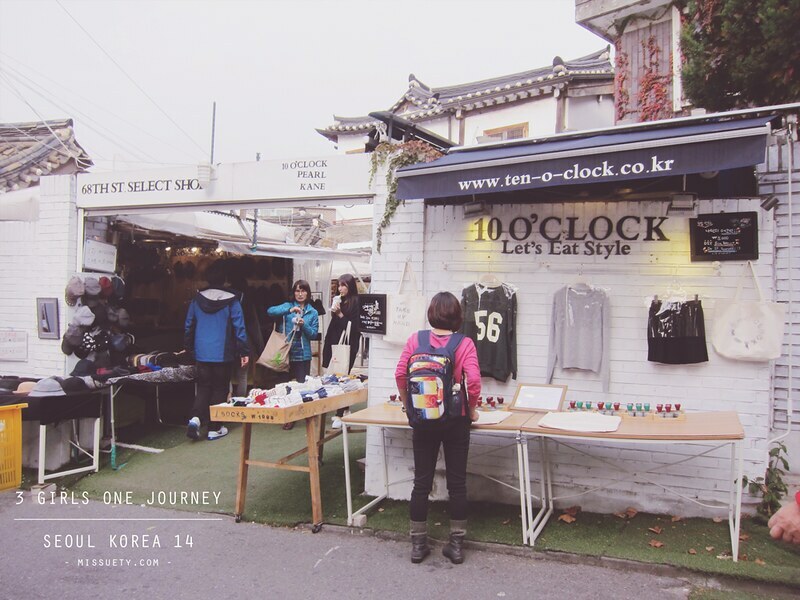 If you’re not into shopping, why not take a stroll in Samcheong-dong and have some picture moment as every corner of the street there’ll be something which might catch your attention. 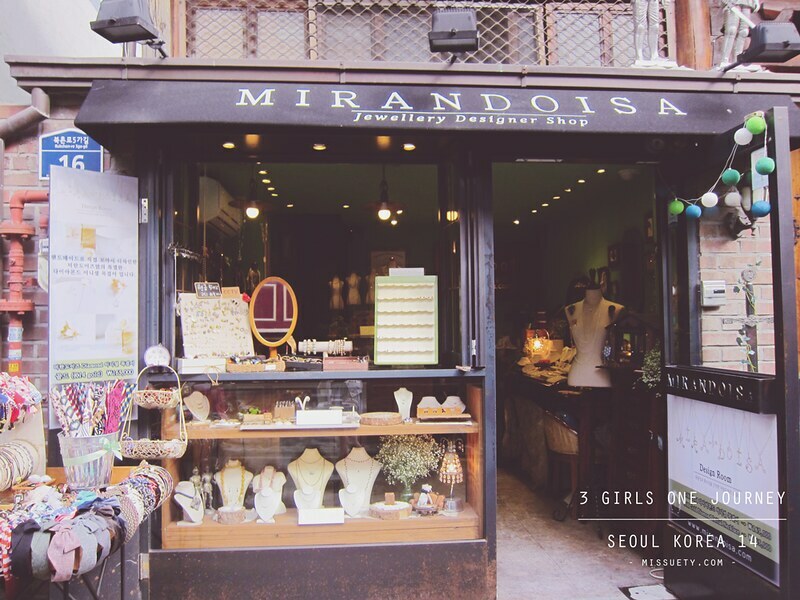 There are tons of beautiful and colorful accessories shops in Samcheong-dong and if you’re an accessories collector, you might want to hunt for them in this area as I believe you will be able to find a range of unique shops offering different designs. 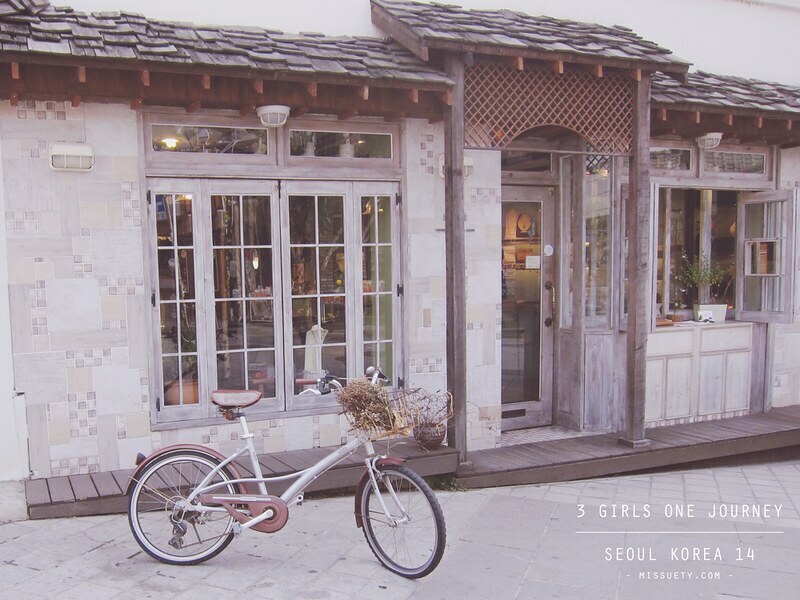 Most of the shops you see in Samcheong-dong are in very presentable state. It just makes you want to capture them all. Look at the colorful mural … Looking at it just makes you feel happy! 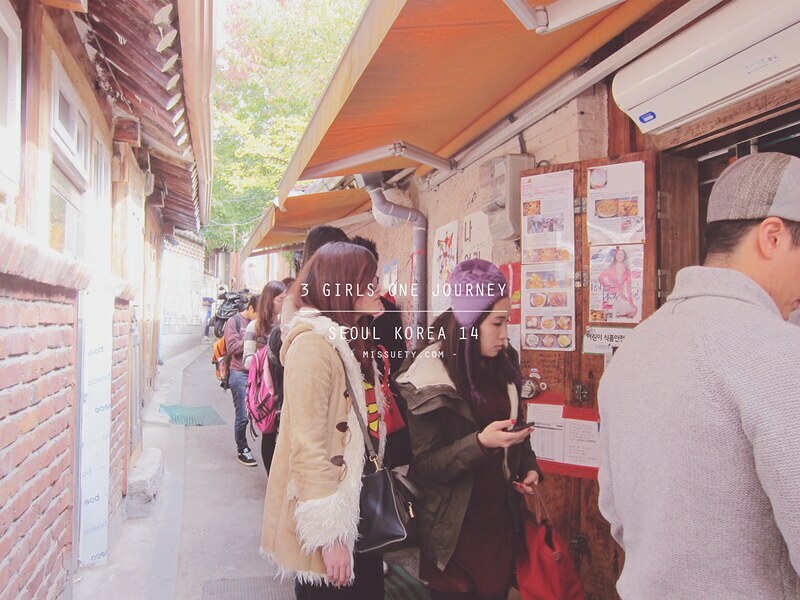 Along this street here, you’ll see cafes and restaurants operating in traditional buildings. 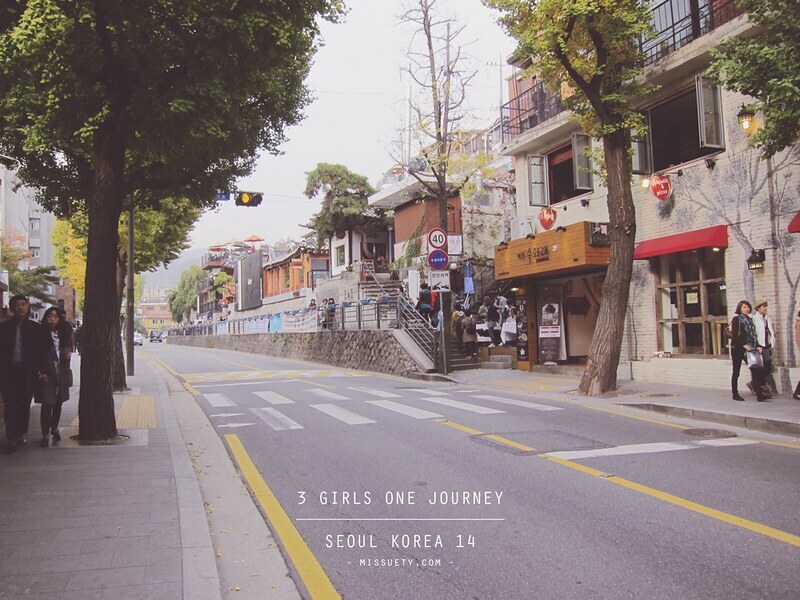 Another different sight of Samcheong-dong as it’s leading close to the Bukchon Hanok Traditional Village. The giraffe captured our attention. Very interesting piece of art! 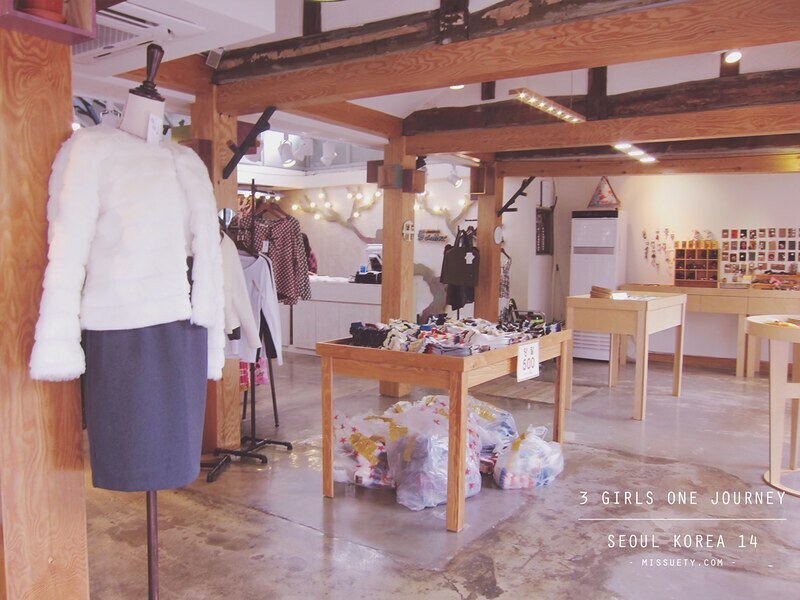 At the corner of this shop, there’s some vendors selling clothing and some lovely goods. You can drop by to check it out. At the end of this street, you’ll see a building like this. 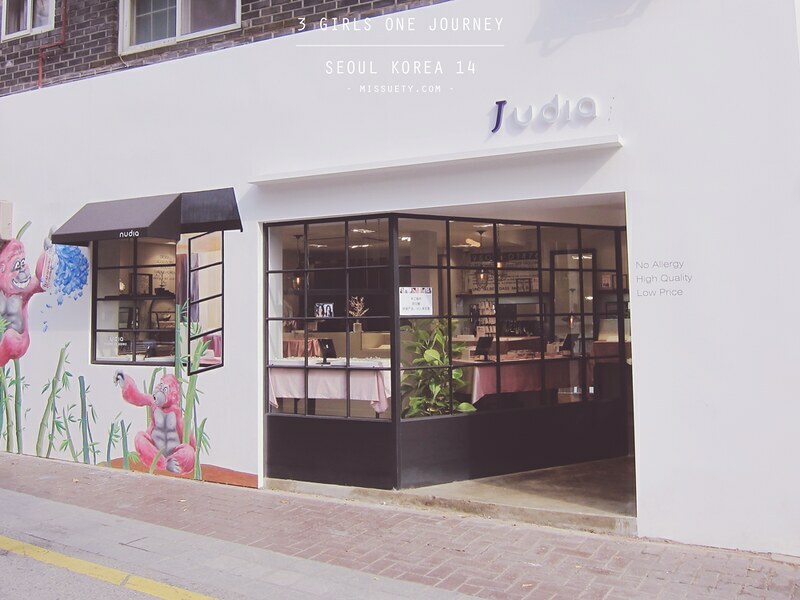 A friend who studied in South Korea recommended this one particular restaurant since she knows I love DUKBOKKI!! It’s the utterly fabulous, famous and delicious MUKSHIDONNA!! 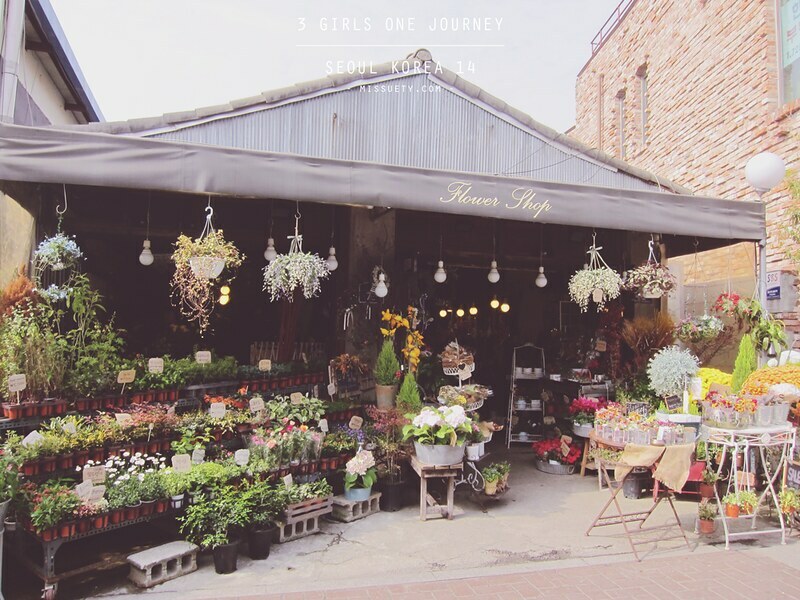 It’s located in a small alley in Samcheong-dong. Not very difficult to find if you just follow the directions below. PICTURE 1: Get off Anguk St, exit 1 and turn right. Walk all the way straight until you come to see a lane with brick walls as in picture 1. 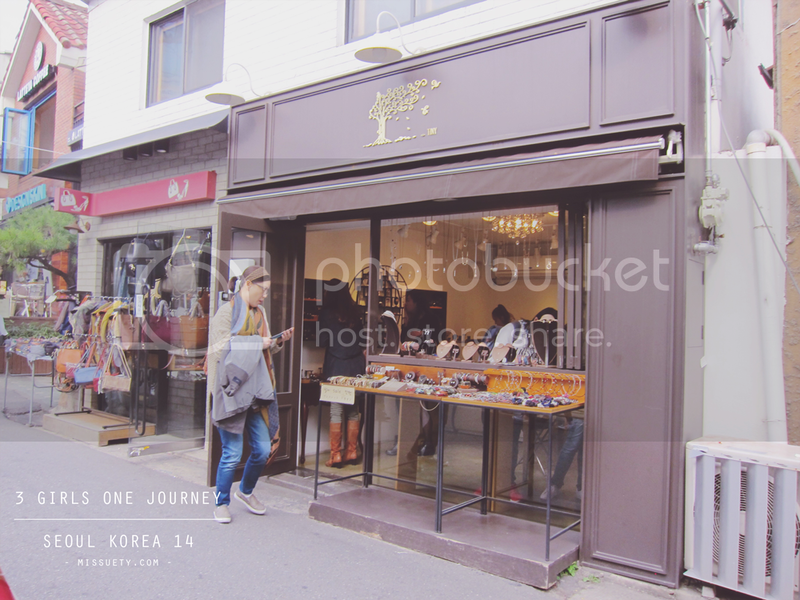 PICTURE 2: Walk along the lane until you see that accessory shop shown in picture 3. 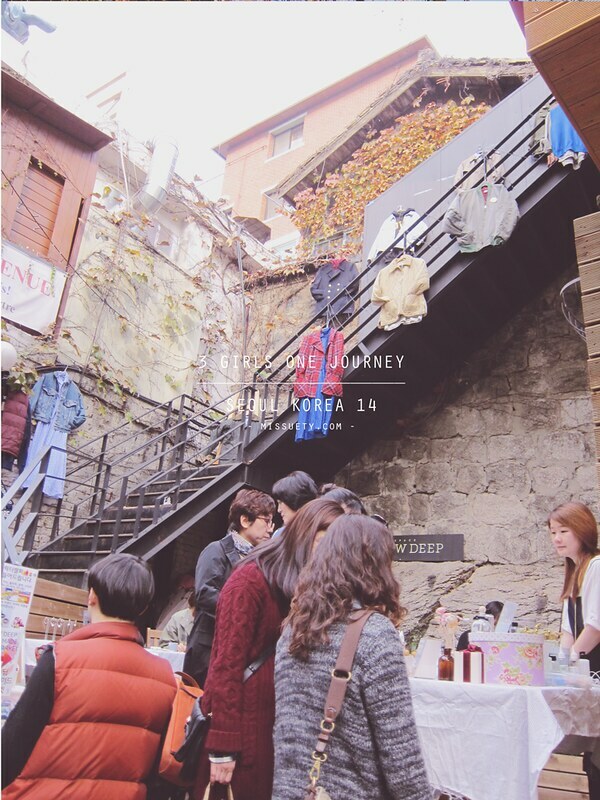 There’s a small alley between the 2 shops in picture 3 & 4. Enter the lane and you will see this red signboard which says MUKSHIDONNA. Here you are and get your stomachs ready for some real good food!! A famous restaurant which was recognized by a number of TV Food Programmes or celebrities. There’s no english but only Korean, Japanese and Chinese (Me cannot really read Chinese also)! Thank GOD I could read Japanese! Good gracious, it’s so delicious! One of the most satisfying meals I had throughout the trip and one of the most worthy meals. It was really cheap for 3 servings. 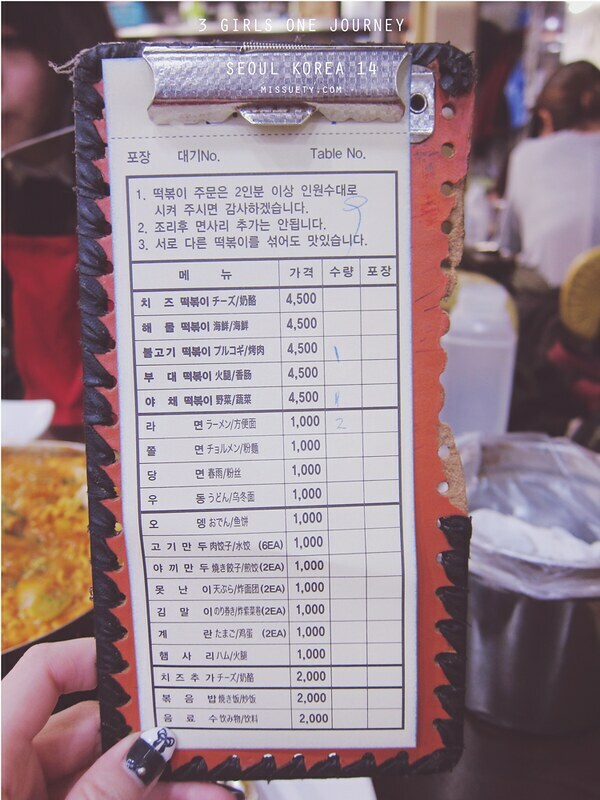 The bill came up to only 11,000 won (RM33, only RM11 each)!! 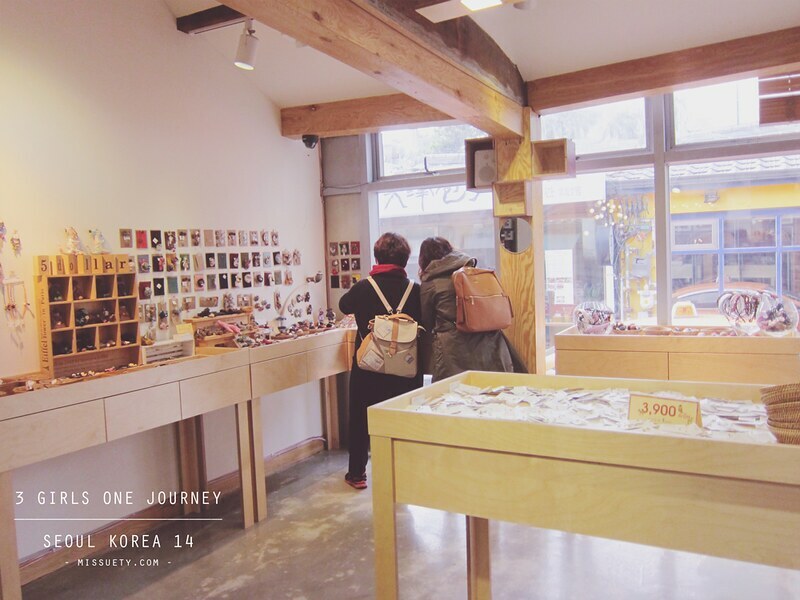 I highly recommend this shop too for those who plan to visit Samcheong-dong! But, I suggest you to come here earlier, before 12pm or else you will have to queue up like this people here. 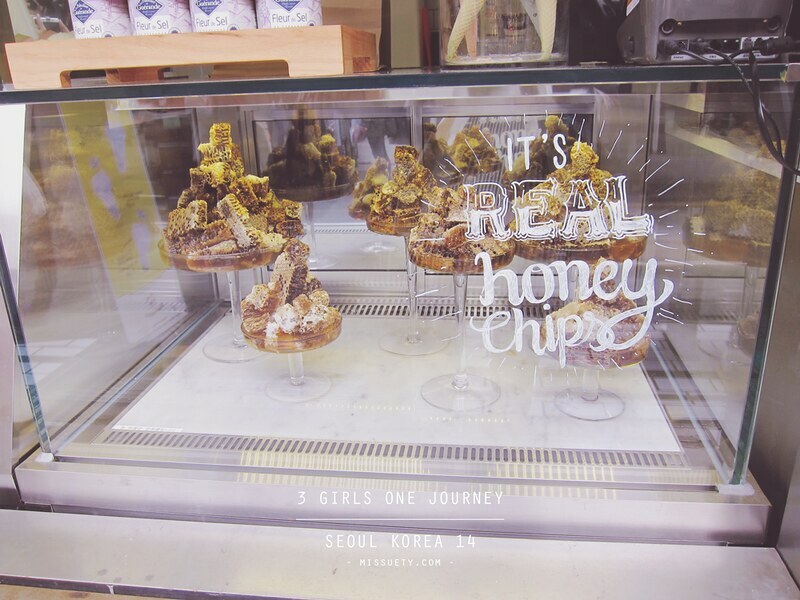 Another thing you should try when you come to Samcheong-dong. 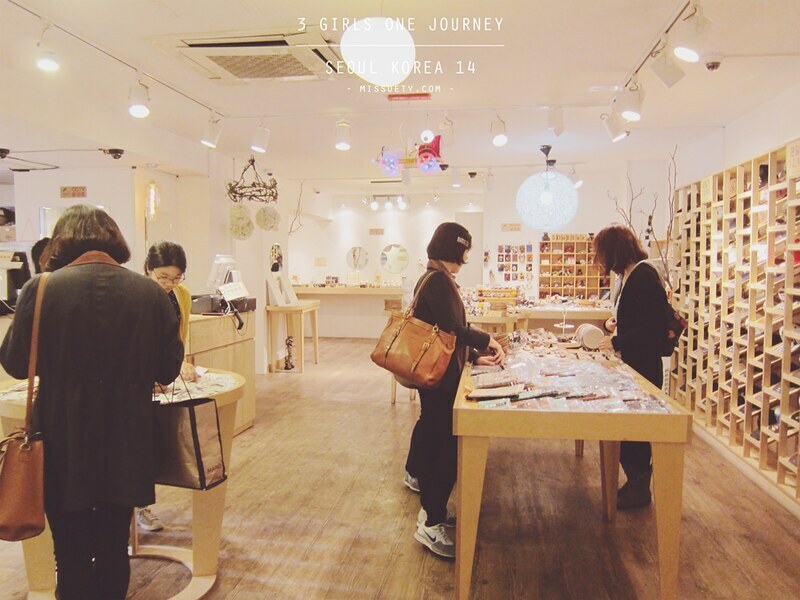 This is another shop which my friend recommended. It’s for people with sweet tooth!! 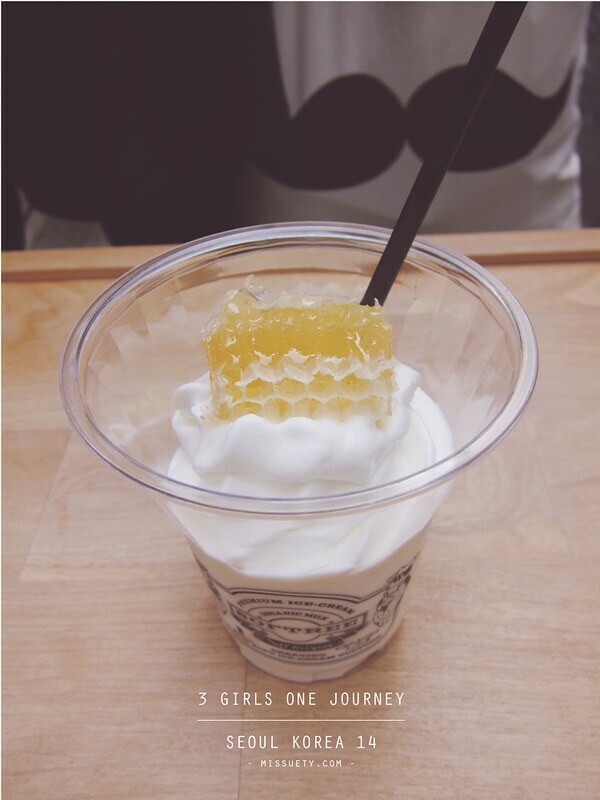 Famous for organic vanilla ice-cream with honeycomb. MUST-TRY!! A sweet boost is needed after one whole day of walking. 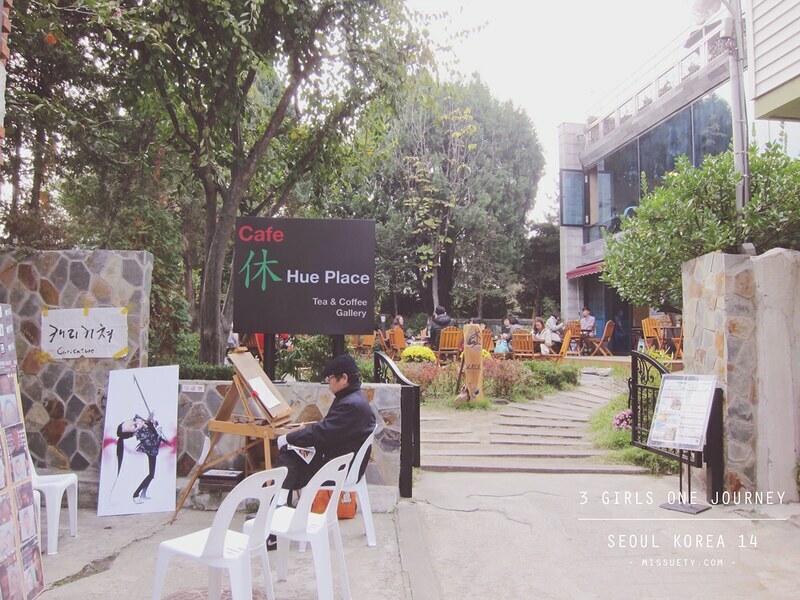 There are countless of cafes and coffee shops in Samcheong-dong, so if you need a break for coffee time, just simply get to any street or corner and chill in one. Knowing this is a hip street, you might get the wrong perception that shopping here might be expensive. 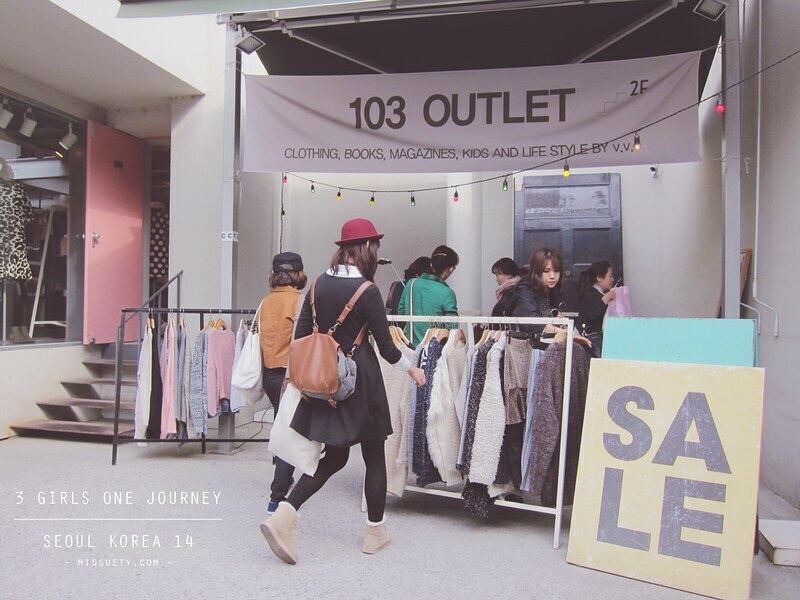 I came across few shops selling really nice stuffs at a cheap – reasonable price. Cheap as in how cheap you might be wondering?! As cheap as 500 won (RM1.50)!! SERIOUSLY!! 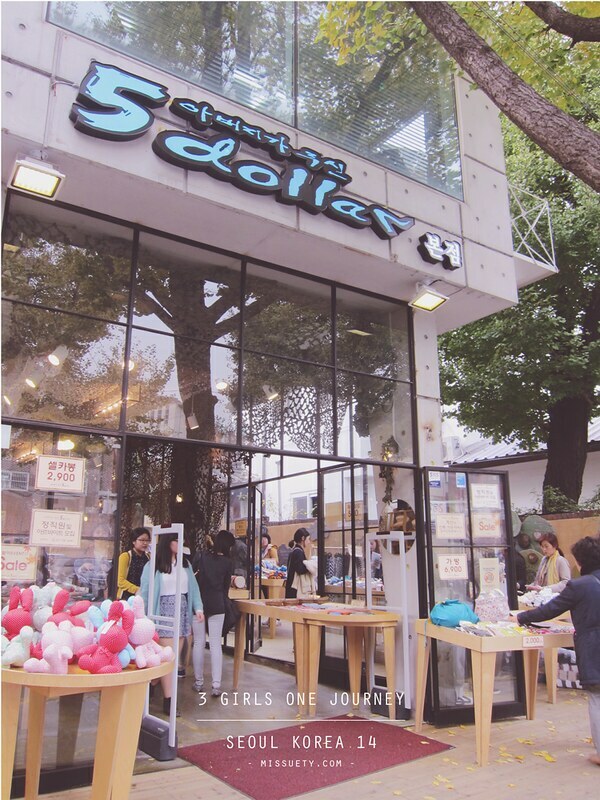 There’s this one shop by the name of “5 dollar”. 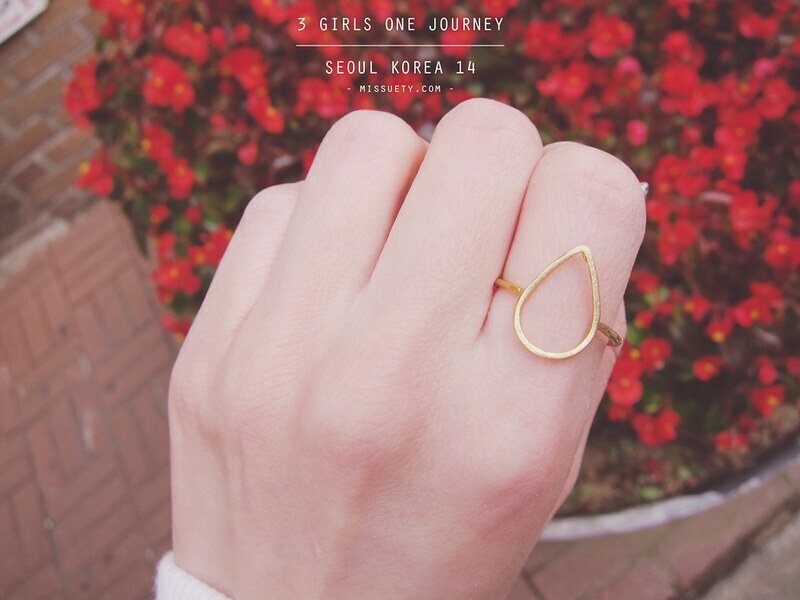 Basically most of the accessories in there are sold at 500 won. I don’t have the exact address of this shop but it’s along the street of the famous MUKSHIDONNA Restaurant. Refer above for Mukshidonna’s address. LOOK! 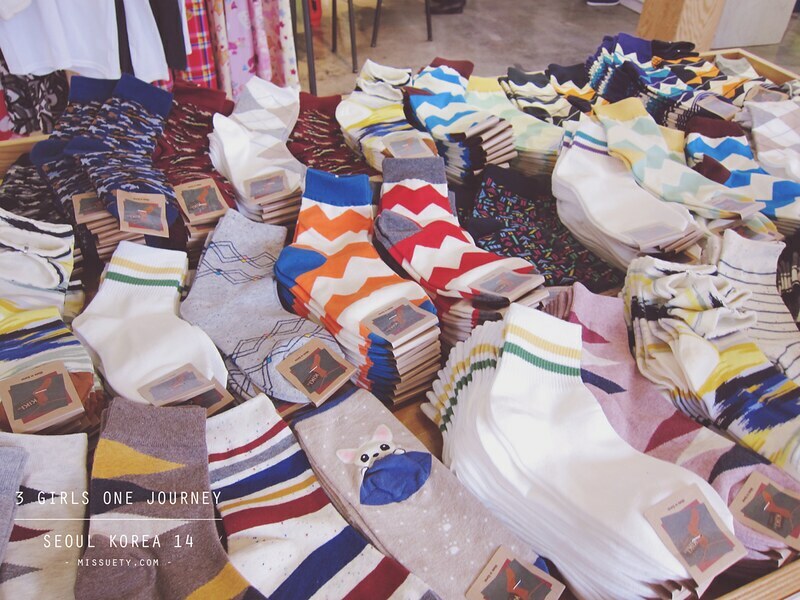 All these cute socks are only at 500 won (RM1.50)! Madness!!!! You can get them for your friends or loved ones back home as souvenirs. The quality are superb too!! I actually bought quite a number for myself and friends. Look at this POM POM socks!! Cuteness overload!! Got this for the cousin who has this exact POM! 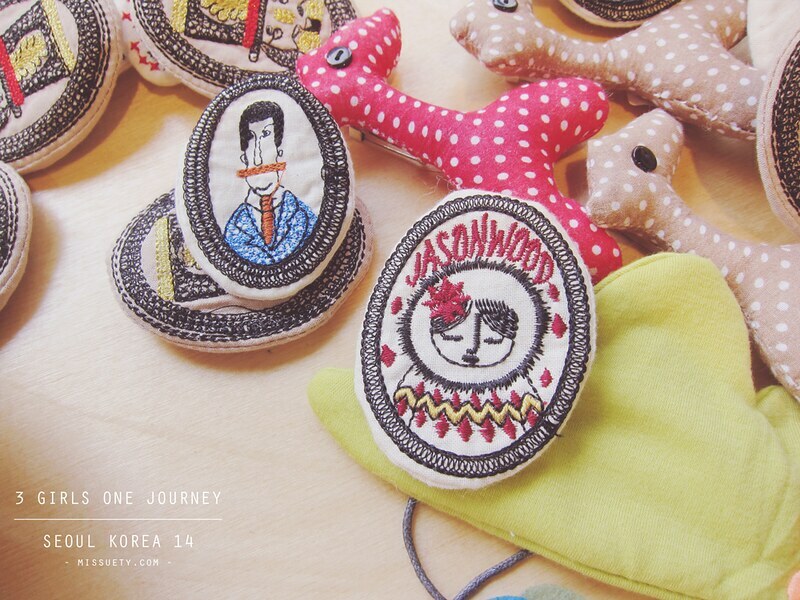 On the other side of the table, there’s this really nice handmade-like brooches all scattering around the table for only 500 won. Haven’t figured out how to match them with my outfit but anyways since it was like so freaking cheap, i know i must bring them back with me. 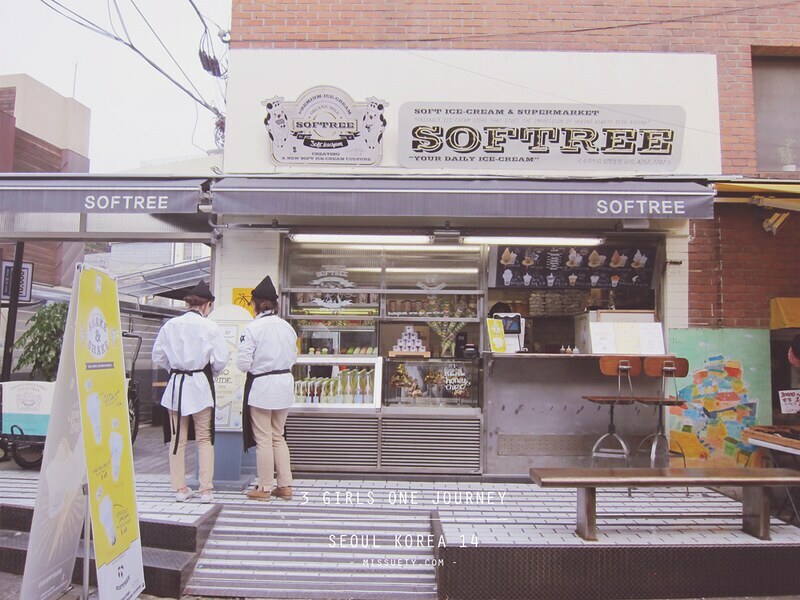 There’s another branch located somewhere in Samcheong-dong too and you can just refer to my picture to take notice of the shop. 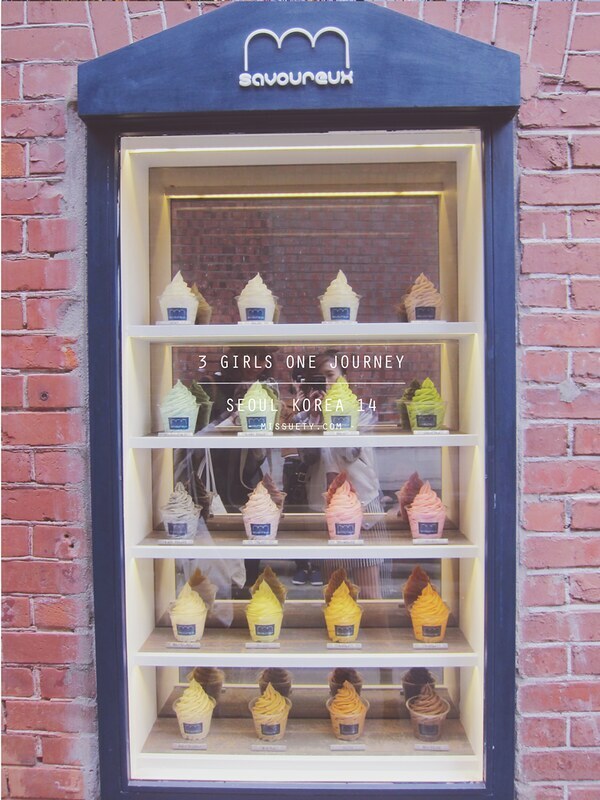 The other shop looks somethings like this. 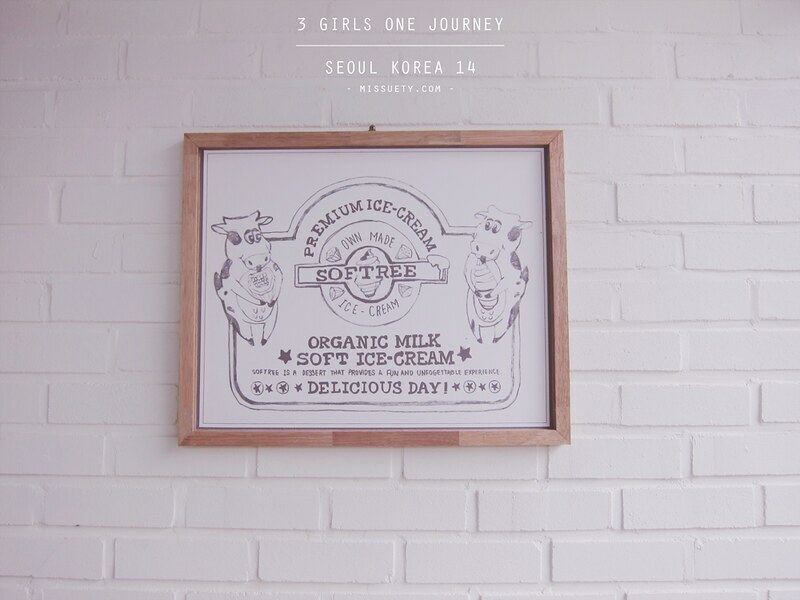 I don’t have the exact address too but it’s on the same row of SOFT TREE ICE-CREAM. 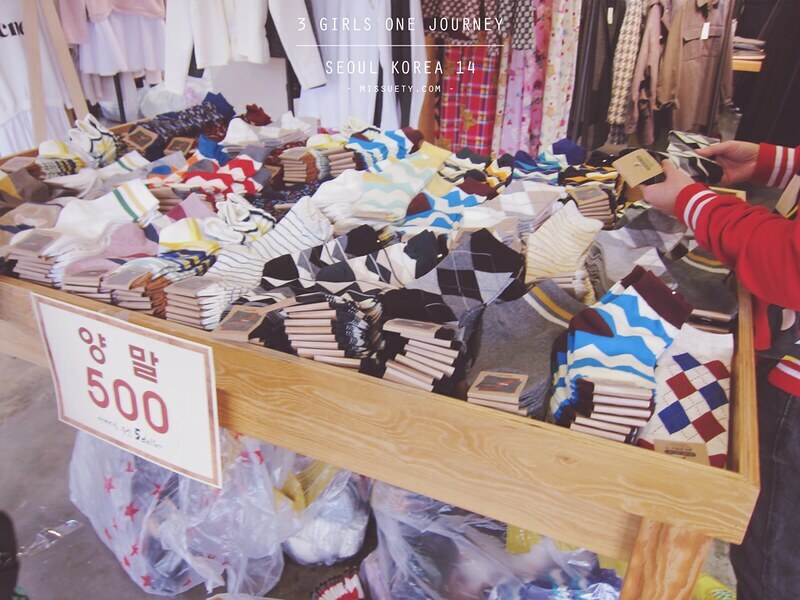 You will find many unique accessories in here at a reasonable price around 3000 won (RM9) and above. 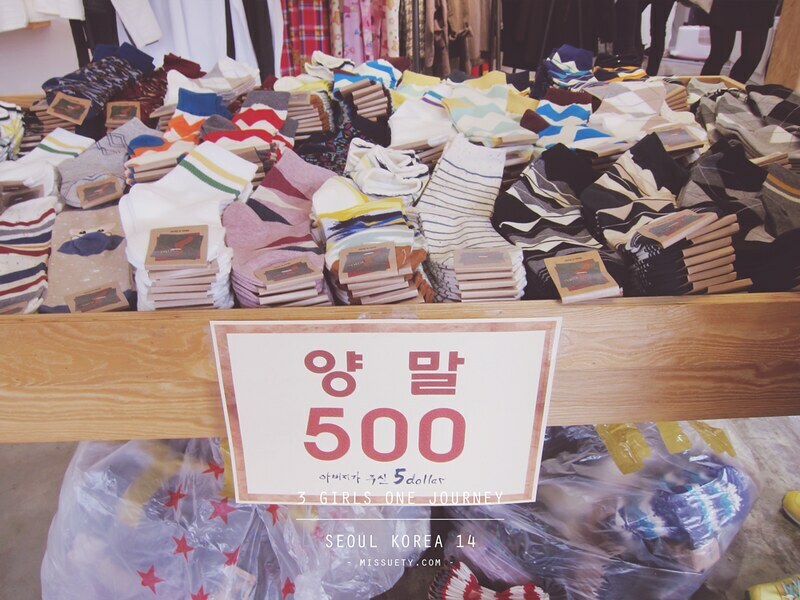 Socks for 700 won (RM2 plus)… We got 500 won ones already so we’re not too attracted to the 700 won ones. Sorry, once again I don’t have the exact address to this vendors but I’m sure you will be able to come across it as Samcheong-dong is not that huge after all. 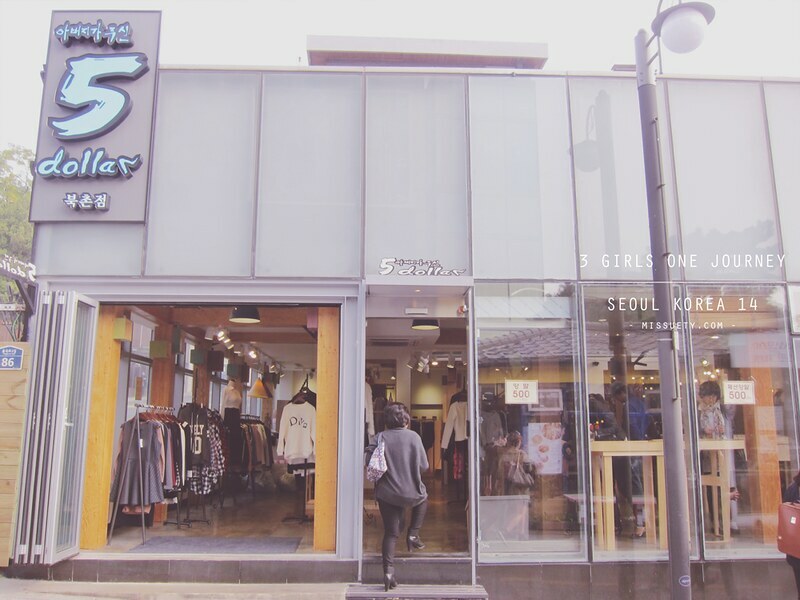 Well, I bought my 1st ever cap here for 7000 won (RM21). Never worn a boy-cap in my life like EVER cos I was told that it doesn’t suit me. Maybe because I’ve been wearing all those girly dresses all the time so many think it doesn’t really suit my style. But, this time I managed to come across one floral design which I can pull off with my overall style. Despite the price which I wouldn’t actually pay for since I don’t like wear them often, I actually still bought it cos I personally think it’s really nice on me. 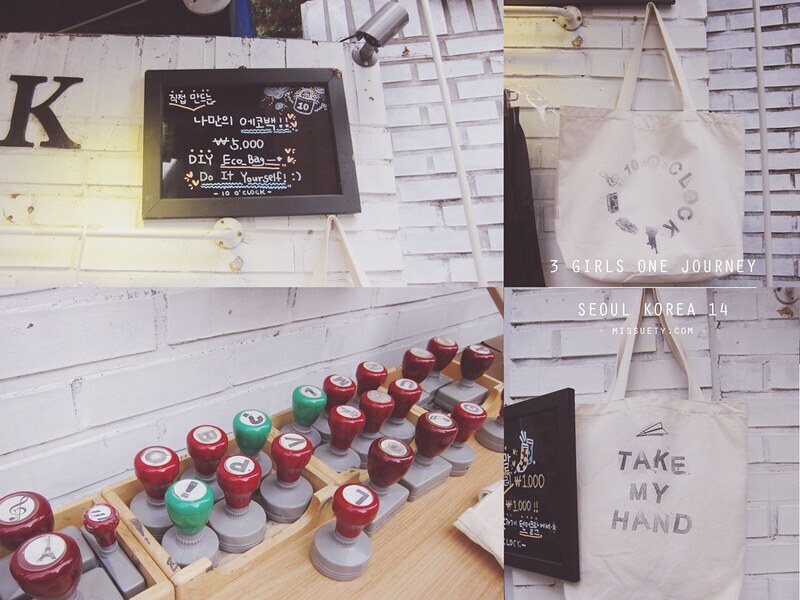 Also, they have this DIY Eco-Bag thingy where you design your own personal eco-bag at the price of 5000 won (RM15). Not expensive for something customized. Came across some other few shops but have yet to check out. You can maybe check them out when you come across them. 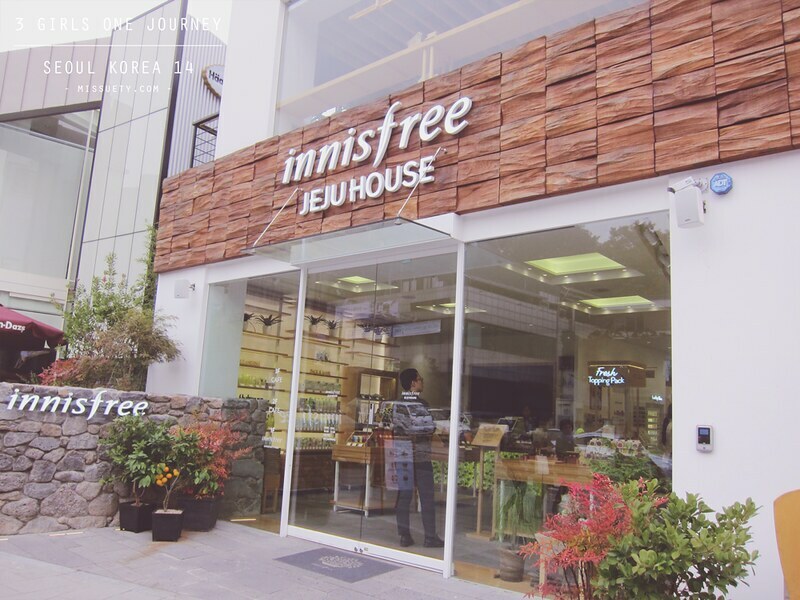 There’s also innisfree here in Samcheong-dong area. I did not step in but I saw from some bloggers blogging about this innisfree and it looks slightly different from the others. That’s all about Samcheong-dong and if you need any help in English about Samcheong-dong, you can head to “Bukchon Tourism Information Center”. 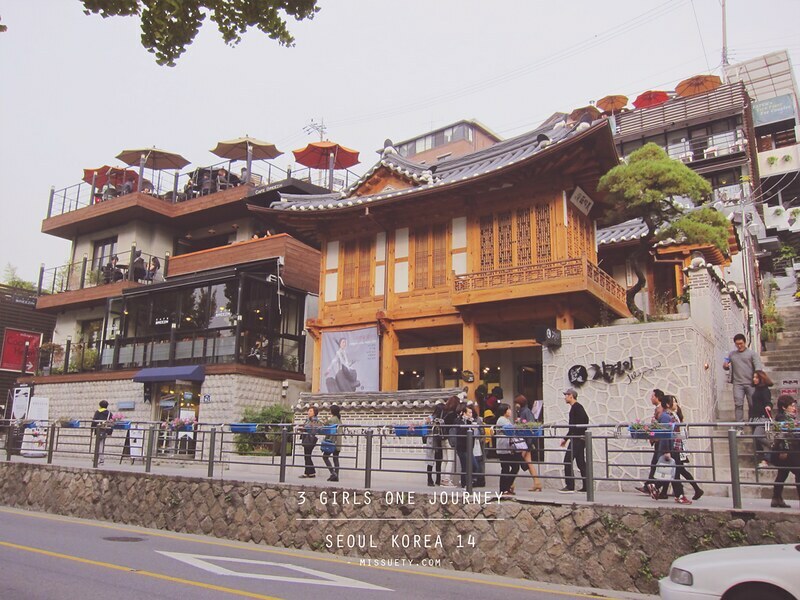 Located in front of Jeongdok Library near Exit #1, Anguk Station (Subway Line No.3), the center provides tourism information on the Bukchon Hanok Village and Samcheong-dong as well as interpretation services in English and Japanese. Lucky I found your site while googling for Samcheongdong. 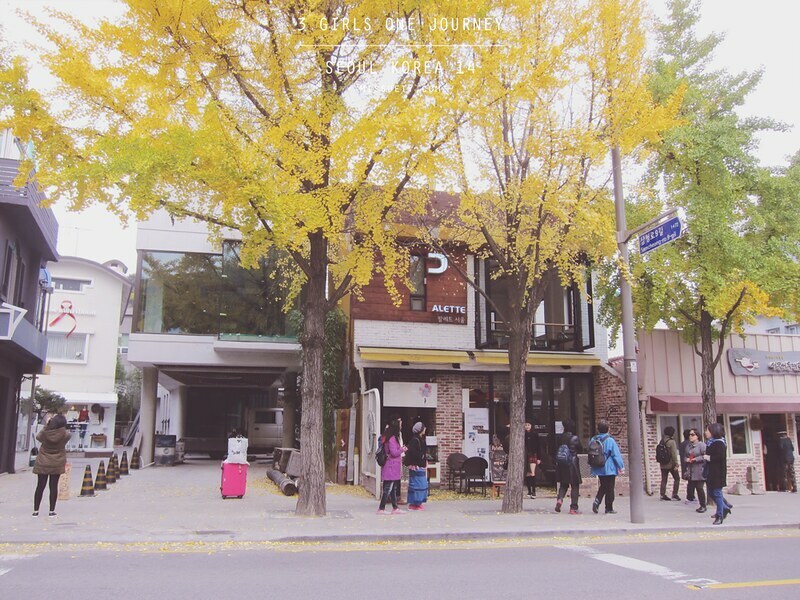 Me and my friends are going to Seoul this autumn and will staying at a guesthouse in Bukchon. 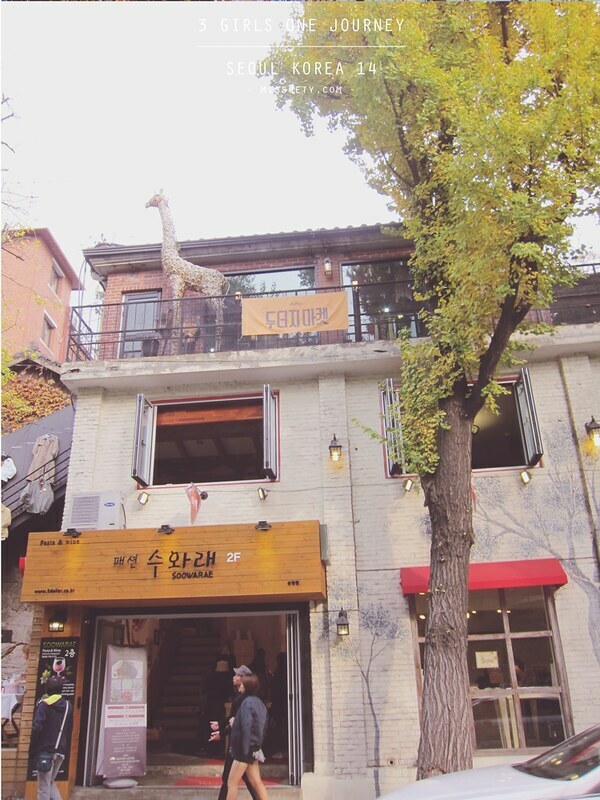 And Samcheongdong is just nearby, rite? 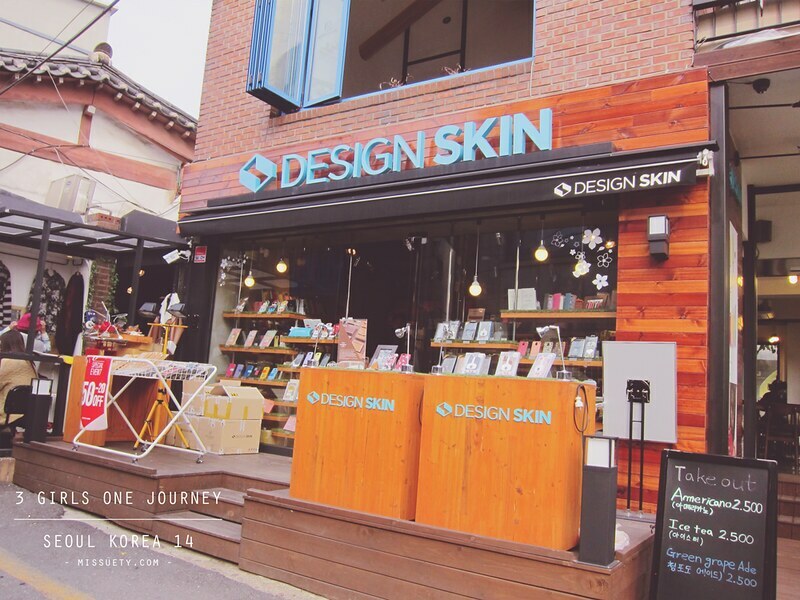 Will definitely visit this charming + awesomely hip area once we are there. Lots of thanks for this gem! Hope it’s useful enough for your coming trip to Seoul.. I want to ask you what apps you use to take all this photo ? 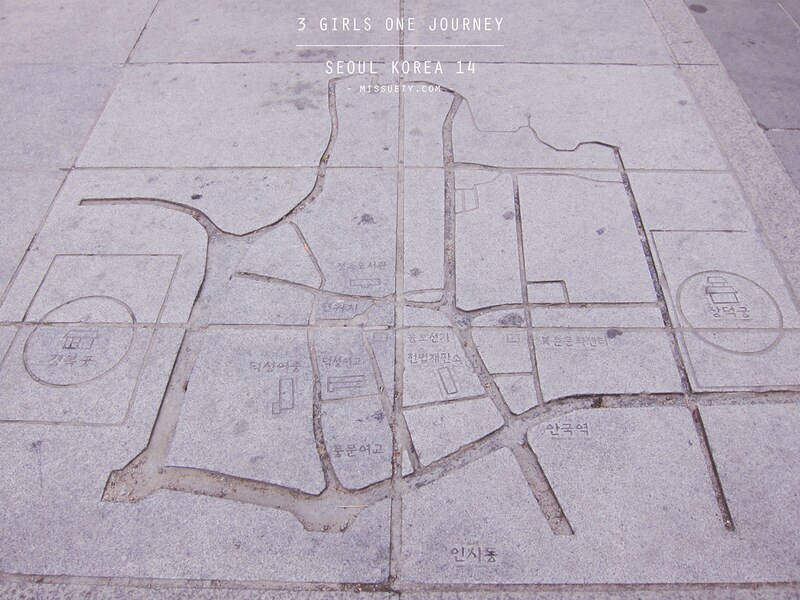 i like it so much and i will go to Seoul and will visit samcheong-dong next year at March. 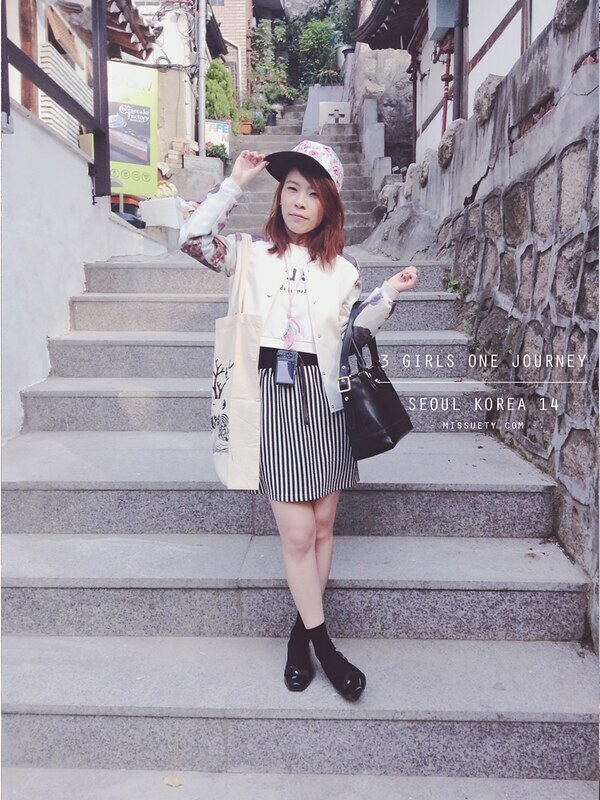 Thanks for commenting and enjoy ur trip in Seoul! I use canon camera for taking those photos actually..
Hi, love your blog, and it’s very helpful (going next week). May I which canon camera n lens r u using? I’m going to Seoul for the first time in October. Any nice places you can recommend for great shopping and foods? 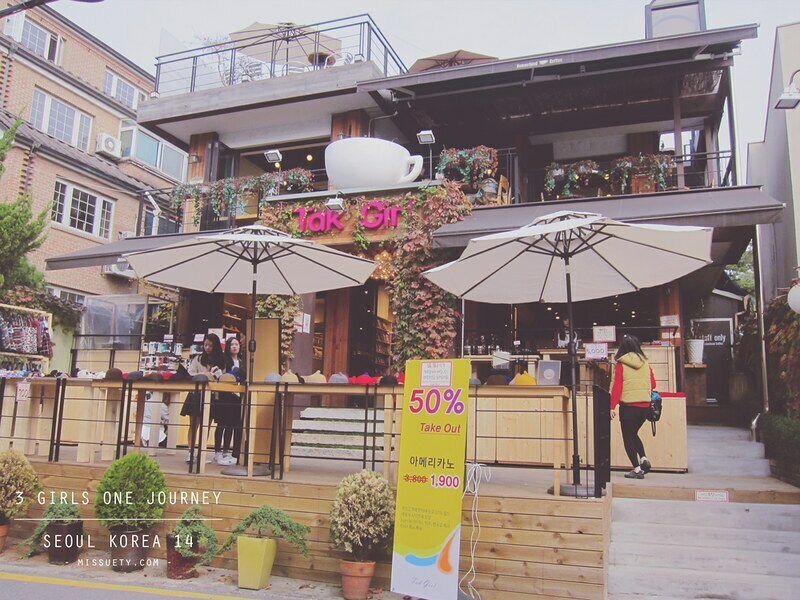 For shopping, I personally prefer Hong Dae area. 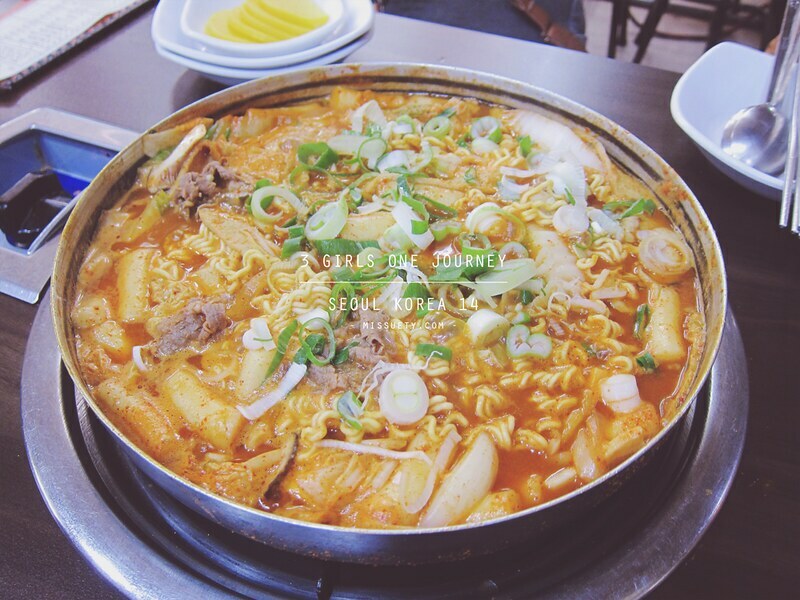 For food, you will have to try MUKSHIDONNA and NOLBOO’s Budaejjigae!! I personally love these both!! Wow great blog! 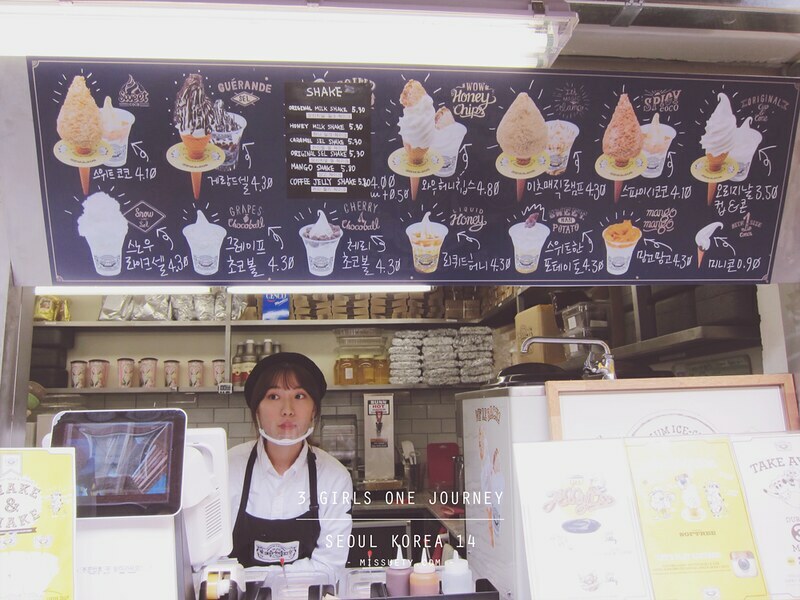 very helpful me and my fiance will be going to Korea next month and will definitely be going to this alley in samcheongdong great job! 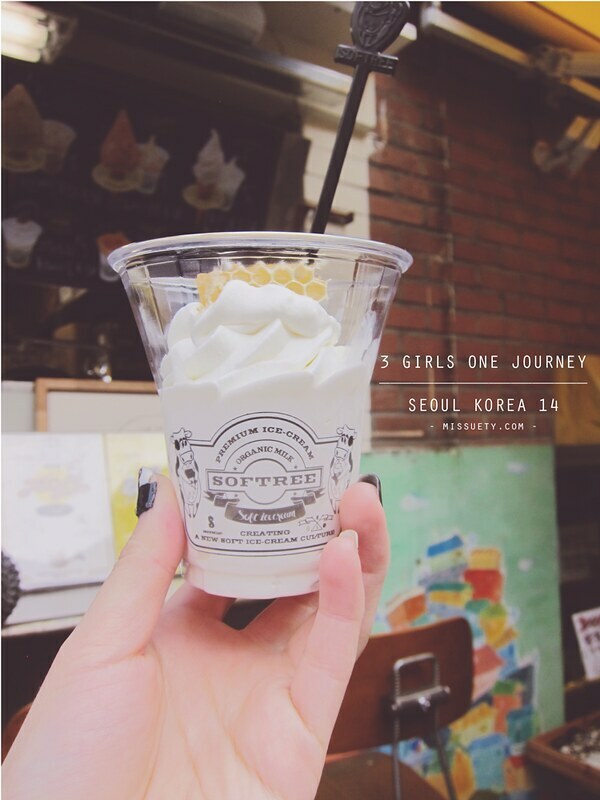 hello… curious about what month you went to Korea? I saw a bubble jacket being worn in a photo yet the trees in some photos are colorful! Also did u write about Nolboo? I went to Korea around end of October. I did not blogged about NOLBOO but managed to try it and it was seriously good! 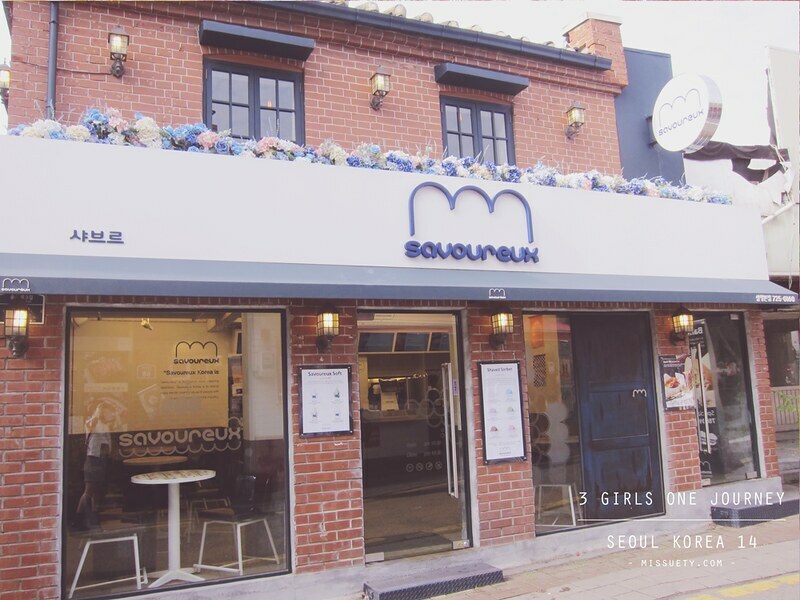 You will have to try that but not the one located in Myeongdong cos the service was awful there. 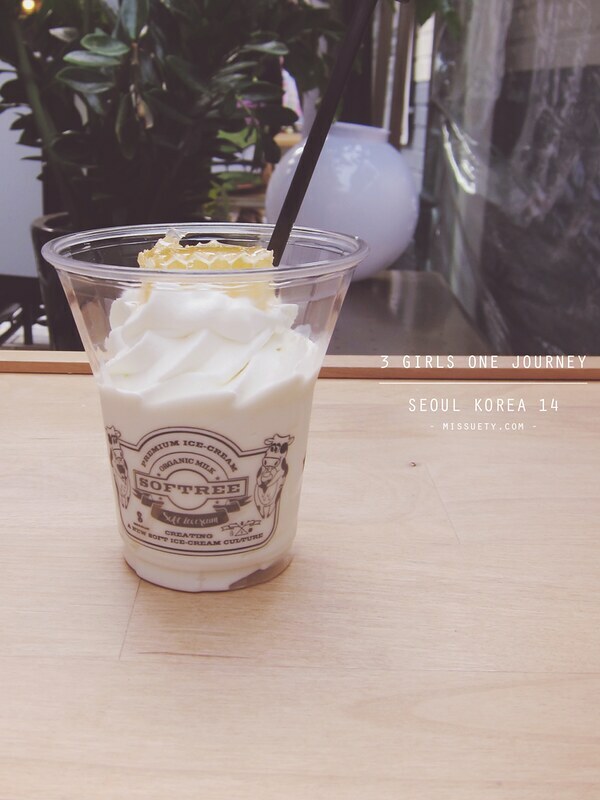 You can look up, maybe the one nearby Seoul Station or Lotte Mart..
Hello MisSuetY, your photo are very well taken ! Where is the location of the first photo on this page ? 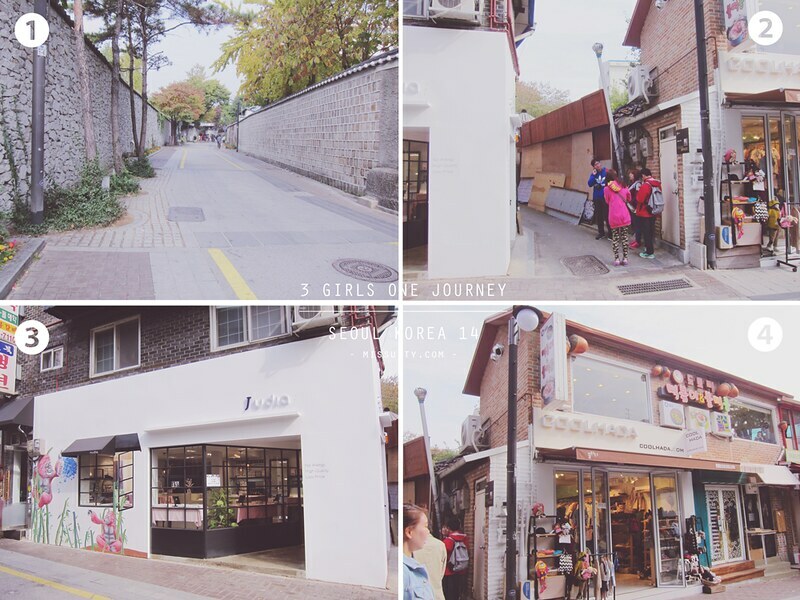 The first picture is taken in Samcheong-dong.